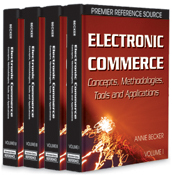 This chapter addresses the contractual legislation problem as an integration problem within the virtual enterprise context. In order to address the problem in a real legal platform, we create an example of a consortium agreement template based on the existing Portuguese legislation. The legislation is no more than standard procedures and guidelines to address an organization’s formalization within the legal system and society. Looking through the existing Portuguese legislation, as an example, we found a way to legally fit virtual enterprises (VEs). Moreover, we propose a consortium agreement template as a preestablished standard agreement to legally support VEs before specific legislation is created. We propose that the enterprises, when joining a market of service providers, would automatically accept this consortium agreement template in order to more rapidly become a partner in a VE as soon as business opportunities arise.